The panda bear baby is put into an enclosure to protect it from predators and other dangers. There, it can romp around all day and eat yummy bamboo. To prevent the animal from accidentally running away and getting lost, the fence is checked for holes every day. Once it is big and strong enough, the panda is released into the wild again. 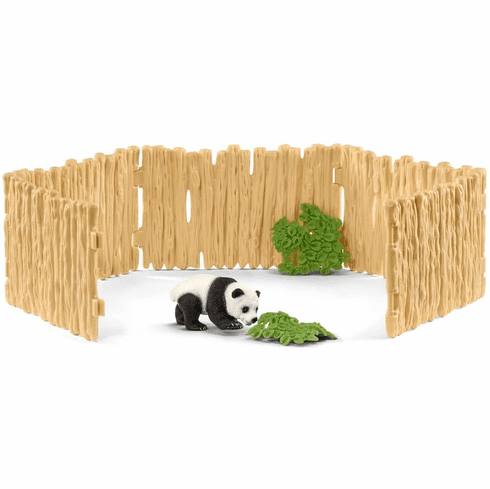 Includes: 5 x enclosure sections, 1 x giant panda cub, 2 x leaves. Measure 7.48 x 2.68 x 4.53 inch (W x D x H).